Scientists rarely run out of ideas. More often, they have the opposite problem: too many leads, not enough time. Meet the graduate whose solution was a smarter way to audition molecules for drugs. Everywhere he looked, Carlos Rico saw titration curves. When he stepped outside for a walk, he’d spot them in the arches of iron gates or within an intricate pattern on someone’s clothing. A tree branch bent in just the right way would make him stop. “I was carrying what was on my mind everywhere I went,” he says. Rico, then a graduate student, was determined to find a way to produce pristine batches of CCR5, a protein that helps HIV attack human cells. On a typical day, he would spend hours in the lab trying to coax CCR5 into a purified form, anticipating the curve that would indicate success. And late into the night, he would sit at his computer, doggedly plotting his titration curves and calculating equilibrium dissociation constants—values that, with a bit of luck, might teach him something new about the protein’s proclivity to interact with small molecules. Rico’s hope was that, if he could isolate CCR5 in sufficient quantities, he’d be able to study it in ways that would otherwise not be possible. This was the key to his graduate thesis and potentially an important step in the development of antiviral drugs: CCR5, situated on the rim of human white blood cells, can help provide a foothold for HIV, allowing the virus its first opportunity to get through a cell’s outer membrane and infect it. If realized, Rico’s method would make it possible to quickly sift through a long list of HIV drug candidates, vetting each for pharmacological fitness. Compounds that excelled in these and other lab tests would then have a chance to graduate to animal testing, clinical trials, and—hypothetically—become real-world drugs with the power to protect people from one of the biggest public-health problems on the planet. But none of this would come to pass unless Rico produced an immaculate extract of his protein and got it to interact with other molecules important in his experiments. Until then, he was unlikely to attain anything besides wishful thinking. A not-insignificant chunk of Rico’s childhood was spent in his grandmother’s attic in León, Mexico, tinkering with two cherished chemistry sets—gifts from his father, Hector. If realized, Rico’s method would make it possible to quickly sift through a long list of HIV drug candidates, vetting each for pharmacological fitness. Beyond his delight in watching ingredients react, the science projects made him feel closer to Hector, who had left Mexico for California when Rico was six. Working at a dairy manufacturer near Los Angeles to support the family, Hector rarely had opportunities to return to León. So Rico and his younger brother were looked after by their mother and grandmother. Rico struggled with his father’s absence, and after six years apart, the family made a risky decision: Rico, with his mother and brother, would attempt to enter the United States to join Hector. It was a decision that would ultimately open the door for Rico to pursue his love for chemistry at the highest level. But first, they had to cross the border. Unlike Rico’s father, who had come to the U.S. on a work visa, the rest of the family didn’t have legal documentation, so they hired a coyote to help them cross the border. Under the coyote’s guidance, they first traveled to Tijuana, where Rico and his brother were separated from their mother. The boys were instructed to stay in a hotel with a small group of strangers preparing to make the trip. After about a week, the group boarded a truck headed for San Diego. Rico’s mother arrived a week later. Once in L.A., Rico was relieved to be reunited with Hector, who later attained U.S. citizenship for himself and for the rest of the family. But he suffered culture shock. He didn’t know any English when he first arrived, and he missed his small León neighborhood, where, unlike in L.A., nearly everyone he met was friendly and kids would play soccer in the streets until late in the afternoon. Eventually, Rico found solace in his studies—both in high school and at Hamilton College, where he earned a scholarship and majored in chemical physics. 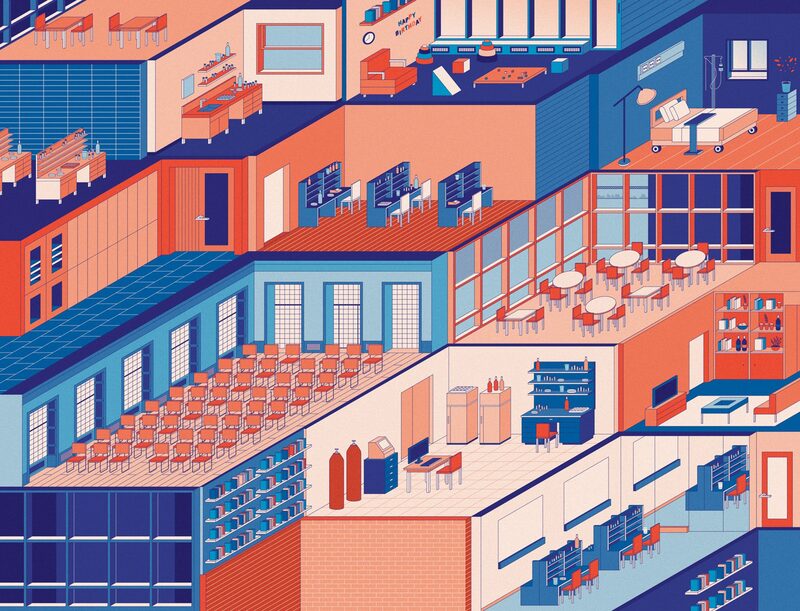 Although he did well in school, it wasn’t until after joining Rockefeller that he finally began to feel genuinely at home, connecting easily with his classmates. “They were all in love with the science they were doing,” he says. He completed three rotations, one each at Rockefeller, Memorial Sloan Kettering Cancer Center, and Weill Cornell Medicine. When it was time to pick a lab and choose a thesis project, Rico knew exactly what to look for: a complex chemistry endeavor, and preferably one that could be applied to the treatment of human diseases. He wanted a project he could get lost in. He found it, soon enough, in Thomas P. Sakmar’s laboratory. Cells are rather squirmy in interacting with their environment. The world outside is, after all, awash with dangerous pathogens and poisons. But clamming up is not an option, either—a cell needs to carefully read its surroundings and communicate with other cells. As a sensible compromise, evolution gave cells thousands of antennae for picking up external signals. Many of these antennae, including CCR5, belong to a vast “superfamily” of so-called G protein coupled receptors that Sakmar, Rico’s thesis mentor, has spent close to three decades investigating. More than one-third of all modern drugs work by binding with a G protein coupled receptor, usually to compete against a particular outside signal, or ligand. The idea is that if the drug uses up all the cells’ receptors, there’s no place left for the ligand. When Rico joined Sakmar’s lab, he knew that one of the biggest challenges for drug discovery is to find a substance whose receptor interaction is so snug that the ligand stands little chance of delivering its message—the snugger the fit, the more likely the drug will be effective, especially in low doses. 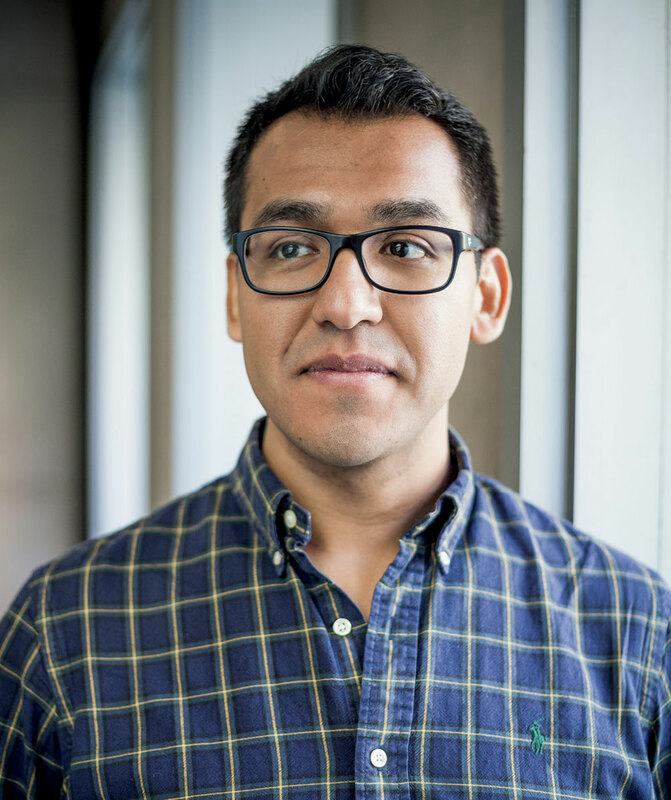 Rico, who graduated this spring, is now a microscopy specialist in the university’s bio-imaging facility. Rico was inspired by colleagues in Switzerland who had created hundreds of different compounds that bound to CCR5, the white blood cell receptor that sometimes gets hijacked by invading HIV viruses. All these compounds were variations on a natural ligand, called RANTES, and their affinity for the receptor varied. From this panel, the Swiss team had selected a strong candidate and used it to develop a topical HIV prophylactic. The drug was already showing promise—among other things, it had been found to protect monkeys from infection with a simian version of HIV (for more on new HIV therapies, see “Emerging from the age of HIV,” here). Rico wondered about the rest of the RANTES ligands. There were still hundreds of molecules that hadn’t been tested, some of which might work even better than the one under investigation. But no one could possibly have the time and resources to sort through the panel one by one, analyzing each compound’s molecular structure and testing its pharmacological properties. Then again, if someone could come up with a strategy to run many of these experiments side by side, the work could be done quickly and cheaply. With the encouragement of Sakmar and Thomas Huber, a molecular biologist and research assistant professor in the lab, Rico asked the Swiss team for access to their panel. The first thing Rico had to do was isolate and purify CCR5 away from cells. This was a particularly challenging step, because he had to ensure that the protein would remain active and intact after its exposure to the detergent used to wash the rest of the cell away. After two years of trial and error, he finally got it: a pure, functional, full-length version of CCR5 with no aggregates or cellular contaminants that might complicate the experiments. Next, Rico had to figure out the most nimble way to detect and measure the receptor’s interactions with the RANTES molecules. Nobody had tried to do this before with purified receptors, and Rico decided to use a detection method called fluorescence cross-correlation spectroscopy, or FCCS. It is a finicky technique, but it would give Rico a clear visual signal, direct confirmation that the receptor was binding to the molecules. No one at Rockefeller, however—and, in fact, few people anywhere—actually knew how to perform FCCS. And most labs didn’t have the necessary equipment. “Rockefeller has the setup and was the perfect place for me to do this,” Rico says. He spent countless hours at the university’s Bio-Imaging Resource Center, teaching himself how to master the painstaking technique, and then getting it to work on his CCR5 extract. All in all, the endeavor cost him three additional years, but it turned out to be time well spent. In the end, Rico was able to use his new method to better understand how different RANTES analogues interact with the receptor—why some bind more tightly or loosely than others, for example, and why still others do not bind to the receptor at all—information that will inform future drug discovery efforts. The experiments were a success, and, more importantly, the methodology was proven. Others could now pick up where Rico left off. 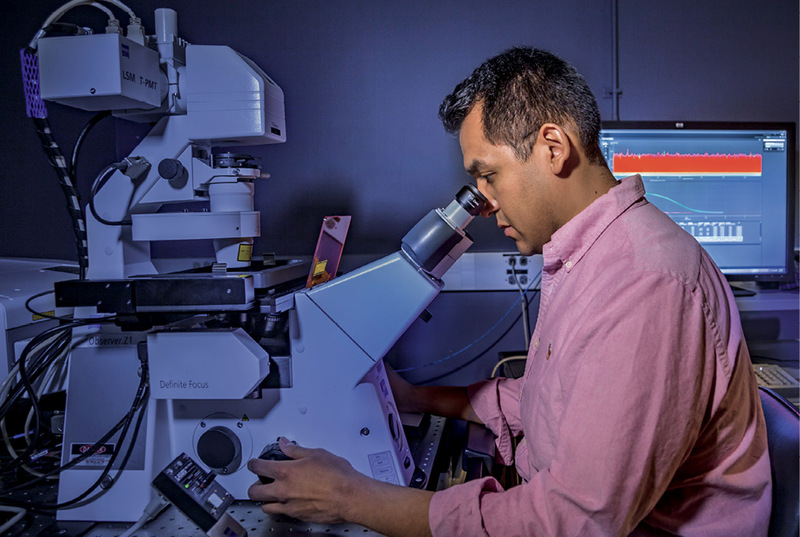 Last year, Rico completed his Ph.D. and became a microscopy specialist in the Bio-Imaging Resource Center, where he trains researchers in microscopy techniques, including those he perfected during his graduate studies. But he’s not finished with his education. He intends to go to medical school to study psychiatry, a field he is drawn to in part because studies have shown that G protein coupled receptors play a role in many psychiatric disorders. Even as he looks ahead, Rico likes to think back to the moment when his experiments first began to yield results. “I was just so happy,” he says. For a long time after proving that his method worked, he’d still occasionally daydream about titration curves. “It’s how you know you’re spending too much time in the lab,” he jokes. "I still feel the vibration."